According to the latest reports from CNBC, the Nokia 8 isn't coming to the US and China. HMD did not released the specific market list in which it would be releasing the Nokia 8, but told CNBC that it would launch in countries which are accustomed to higher average selling prices of phones. 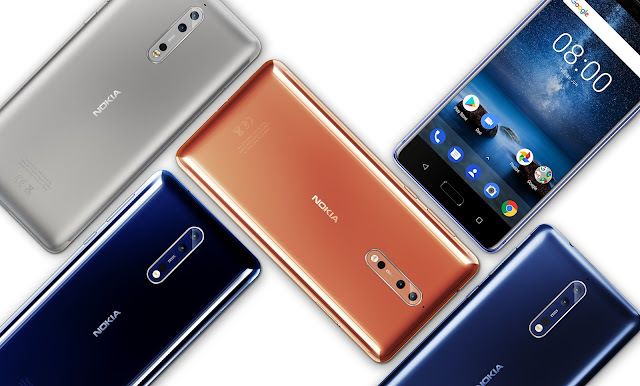 "The U.S. requires a separate strategy, even a separate portfolio and tech investment so we are not in a rush today around that because we are seeing such strong demand across the globe,"
The Nokia 8 will not launch in China, as the company is crafting a specific strategy around the world's biggest smartphone market, and will launch specific devices tailored to consumers there. "China is a big focus market and we will make announcements on those dedicated products there in the future," Seiche told CNBC.